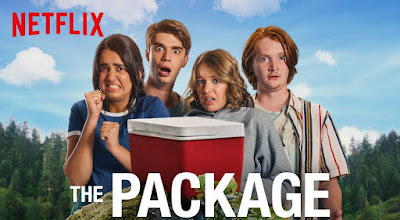 In The Package a group of teenage friends on a spring break camping trip, where drinking leads to a series of bad decisions -- namely, urinating while operating extremely sharp cutlery. What ensues: "a race against time to save their friend's most prized possession." And maybe some life lessons. The Package is directed by Jake Szymanski (Mike and Dave Need Wedding Dates), written by Kevin Burrows and Matt Mider—is produced in part by Adam Devine, Anders Holm, Blake Anderson, and Kyle Newacheck, the minds behind Comedy Central’s workplace hit Workaholics.